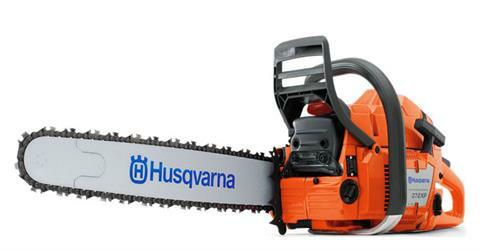 A true professional saw in the larger mid-size class, built for very demanding applications. Equipped with X-TORQ engine with reduced fuel consumption and exhaust emissions. The crankcase and crankshaft are extra heavy-duty and the carburetor has vibration damping in order to handle high speeds and high loads. The saw combines low weight, high power and rapid acceleration with flexible operation. The XP® G model has both heated handles and carburetor. HEATED CARBURETOR: The electrical carburetor heating ensures reliable starting and operation in cold conditions.